being little • bristol uk fashion & lifestyle blog. : minnie. You look so lovely in that outfit! I love the spotty shirt. Have to say you look very cute in these photos, hope you dont mind a guy commenting on here about that lol. So rare to see girls dress in this style and so nicely these days especially around Torquay lol. Also that Brownie/Cake looks truly AWESOME!!! lol wheres that from? aww you look gorgeous!! i lurrrve the shirt. and that little slice of yummyness is making me crave something sweeeeet. 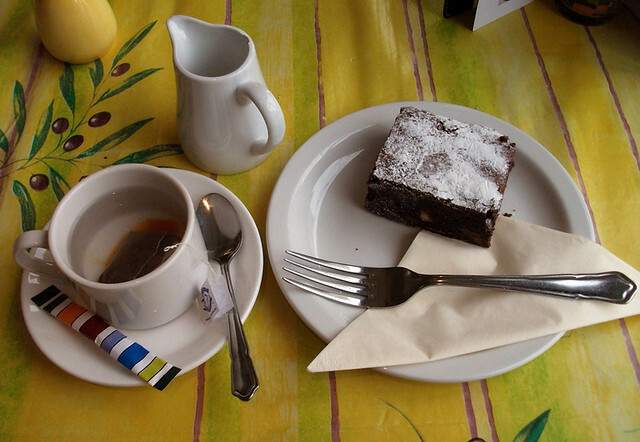 Tea + brownie = yumm! 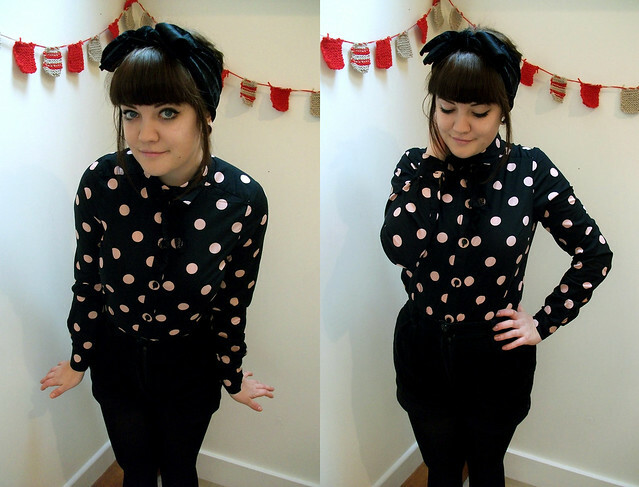 gah the velvet and the polka dots are in the words of cheryl cole "right up my street"! just lovely! may sound weird, but i love your stretched ears. I used to have 28mm and im always tempted to do them again! I dont know if i could go through that pain again though! This is such a cute outfit - who cares about it being mostly black? Love the little mittens in the background! I adore this, infact I would love to feel a little bit like Minnie Mouse too. You're looking beautiful as ever (: I hope you manage to do all you wish to and have a lovely Christmas sweet. Your outfit is very Minnie Mouse- love it! :) Hope you had a lovely Christmas yesterday! I found your lovely blog today and have since read all of your posts in awe! I must say, your fashion sense is impeccable and your style of writing is beautifully written. Your art is also visually stunning and most inspirational! adorable - i love that headband. you are seriously adorable!! i've just found your blog and im in love <3 great posts, im going through your archives now :) ohhhh and following for sure!